Hedsor House provides a flexible blank canvas to create the luxury country house wedding that you have always dreamed of. Host an intimate 60 guest wedding ceremony in our Centre Hall or a 150 guest luxury wedding reception in our Grand Ballroom we will work with you to turn your dreams into a reality. And when we say Hedsor House is ‘exclusive’, we really mean it: the house and gardens are truly yours for the day and night as well, thanks to our luxury Bridal Suite and guest bedrooms. 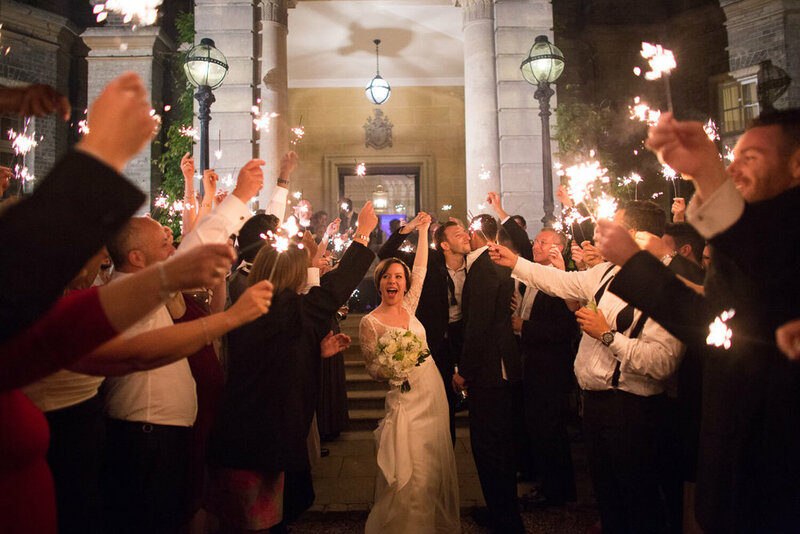 Hedsor House is a stunning country house luxury wedding venue in Buckinghamshire that is simply perfect for civil wedding ceremonies and blessings. These can take place in a number of spaces around the house and estate, from civil ceremonies in our stunning Centre Hall with its domed ceiling, to intimate outdoor blessings on the lawns. One of the special features of this country house wedding venue is that it is possible for marriage ceremonies and blessings to be held in the beautiful 12th century St. Nicholas’ Church, just 300m from the house. The combination of this picturesque medieval church and Georgian Hedsor House makes for a truly memorable and unique wedding day. We pride ourselves on being a leading provider of Asian and Jewish weddings, and we are well-versed in what makes an exceptional wedding for these guests. In keeping with its reputation as an exceptionally versatile luxury country house wedding venue, Hedsor is just as much at home with glittering gold mandaps as it is with brilliant white chuppahs. Take a look at Krishna and Kunal's incredible Royal Indian extravaganza. Above all, rest assured that our team and partners are always on hand to help you create your perfect ceremony, whatever that may involve for you. As an exclusive use luxury wedding venue, the sky really is the limit when it comes to ideas and inspiration for your wedding reception at Hedsor House. There are endless opportunities to make your dream reception a reality, from elegant wedding breakfasts in the Ballroom to more quirky, vintage offerings in our Grade II listed gardens; from spectacular Asian banquets to stylish Jewish receptions until the early hours. Whether you wish to dance the night away in our Centre Hall, enjoy a firework extravaganza on the lawns or simply relax with a glass of champagne in the stunning Sunken Garden, anything is possible. As you would expect, our experienced in-house team and our handpicked range of preferred partners and specialty caterers, will work tirelessly with you to ensure that everything is arranged and delivered to perfection. Our 'Inspiration' pages give you beautiful ideas and photos from a handpicked selection of our recent Hedsor Brides and Grooms. 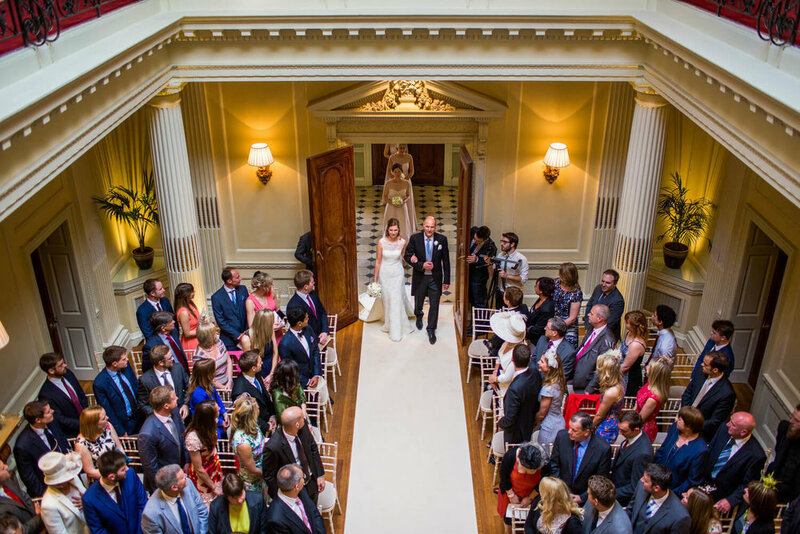 Take a look at some of our sensational recent weddings! To view more information on packages and prices, click here. Photography Ⓒ Hedsor House, Guy Hearn, Simon Atkins, Eye Jogia, Pippa Mackenzie, Mike Garrard.